Purchased with the assistance of the Story Fund, 1989. Pear-shaped porcelain bottle with flared neck covered in a green flambé glaze. Impressed gourd-shaped seal on base: Kōji (?) in a double gourd. 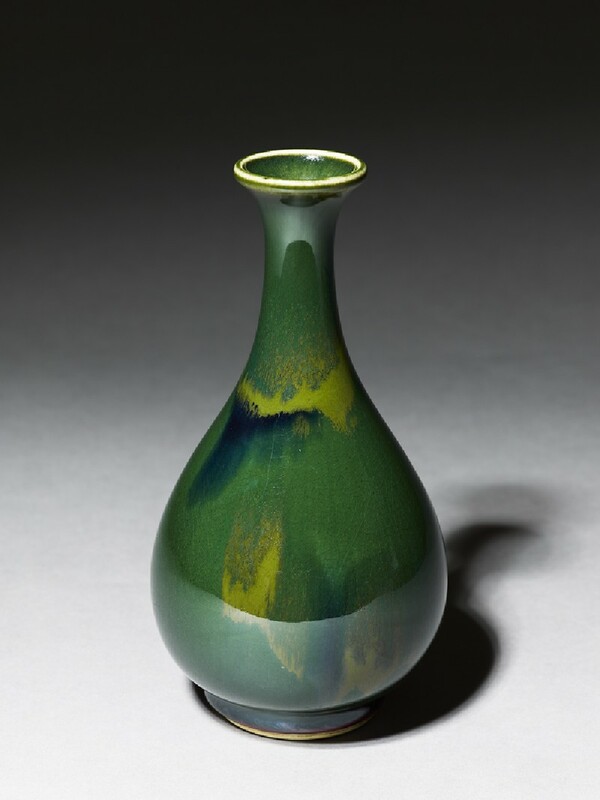 Kōzan was experimenting with flambé and transmutation glazes in the manner developed at Limoges and Copenhagen, some of which depended on Chinese originals, from early 1880s. Flambé glazes intermingle colours seamlessly in an amazing variety. We are not sure of the date of this exquisite bottle, but belive it to be from the late nineteenth century.